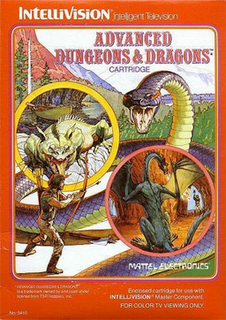 Although the original Dungeons and Dragons (D&D) “board game” is designed to be played with paper and dice, it’s a natural fit for the world of video games. Its randomized encounters, tedious mapping, and turn-based combat practically beg to be computerized. 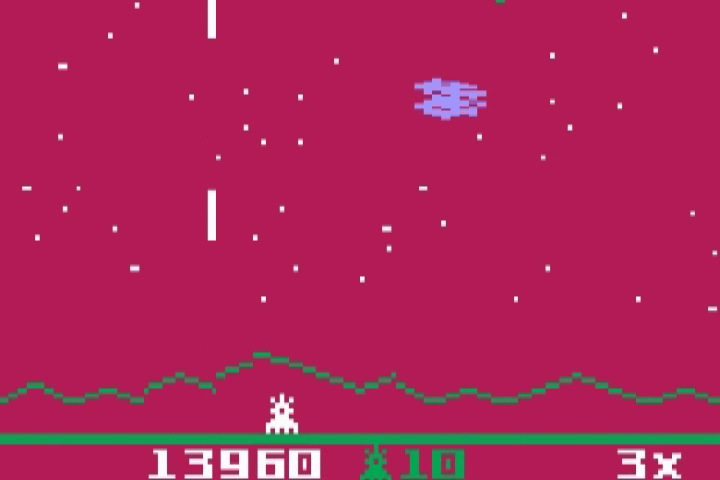 Many old video games tried to capture the D&aD formula with varying degrees of success, but this Intellivision gem practically nailed it. A fast-paced, easy-to-play adventure, AD&D effectively conveys both the combat and exploration aspects of the original dice-throwing game. It’s a shame these creatures are all really, really tiny. The demons resemble aliens (complete with antennae) and I mistook the dragons were bears! Another problem is how you can’t see an approaching monster until the thing’s practically on top of you. Be sure to listen for sound cues that signal when danger is near. You can shoot a limited supply of arrows, and it’s great how they actually ricochet off the walls! You’ll want to take advantage of this technique in winding hallways – just be sure the arrows don’t bounce back at you! AD&D’s controls are responsive, and you can even run one way while shooting another. Five difficulty levels are included, and even the easiest is no cakewalk. If one element of the original game is missing, it would be the complexity. There are only a few items, no treasure, and no magic. Still, AD&D is a fun, arcade-style quest that will probably surprise a lot of gamers. The Video Game Critic rates games compared to other titles for the same system. The main criteria is how fun the game is, although control, graphics, and sound are also taken into account. You can view his other articles and review on his main website.